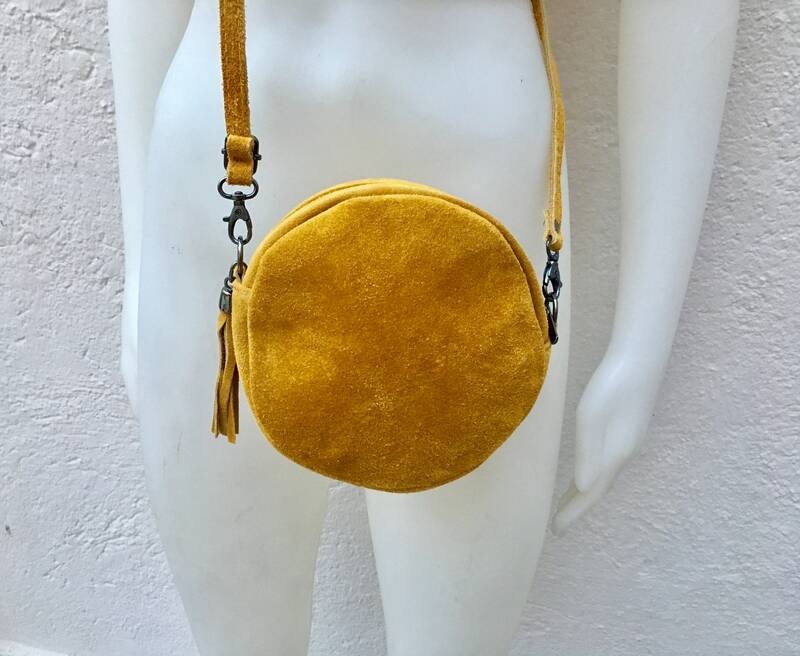 Round cross body bag, small suede bag in MUSTARD YELLOW Adjustable strap zipper. Small shoulder or cross over bag. Boho, festival bag. 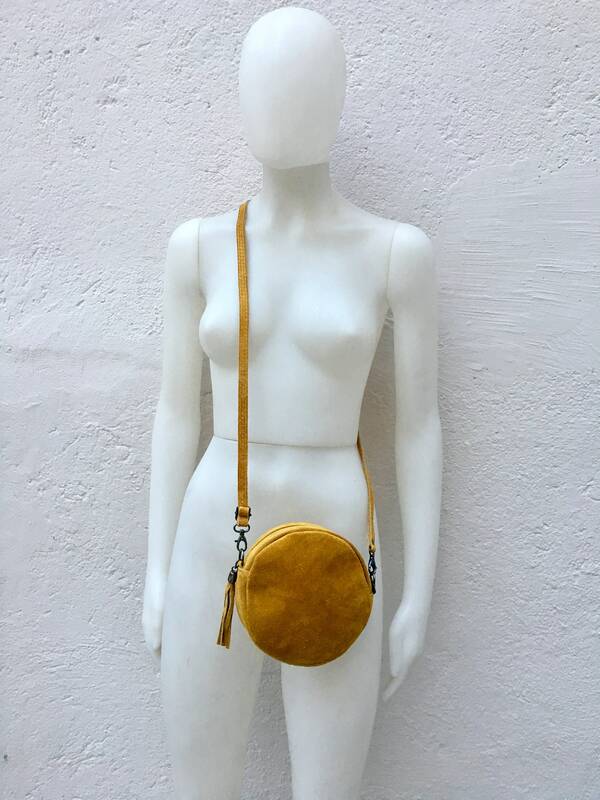 Round cross body bag, small suede bag in MUSTARD YELLOW Adjustable strap + zipper. Small shoulder or cross over bag. Boho, festival bag. Small cross body or shoulder bag. 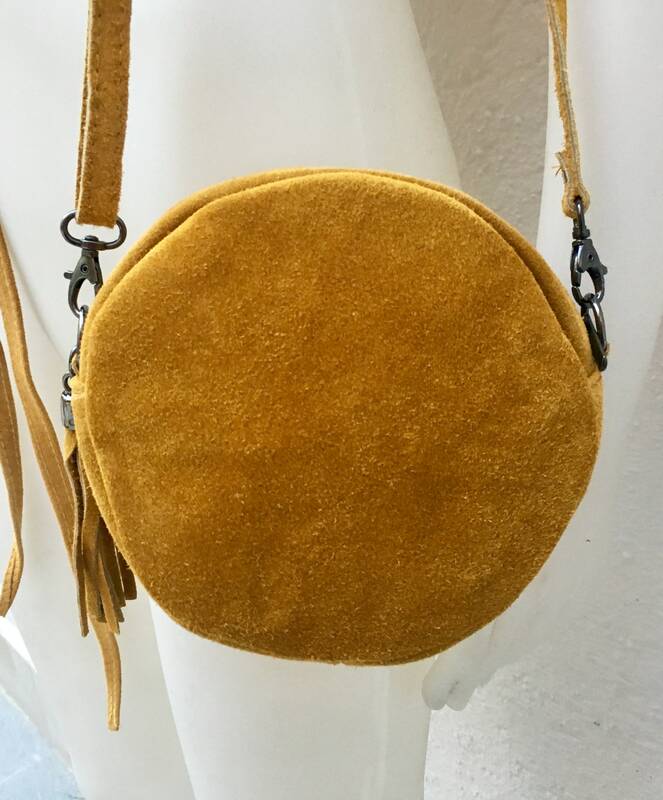 Soft suede leather bag in MUSTARD YELLOW . 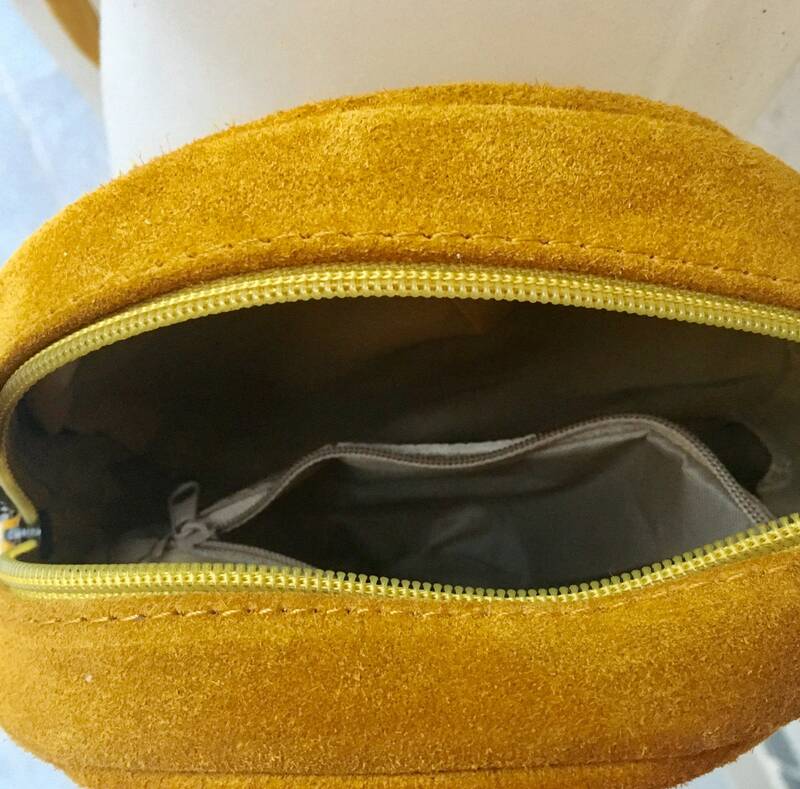 Natural, soft genuine suede leather. 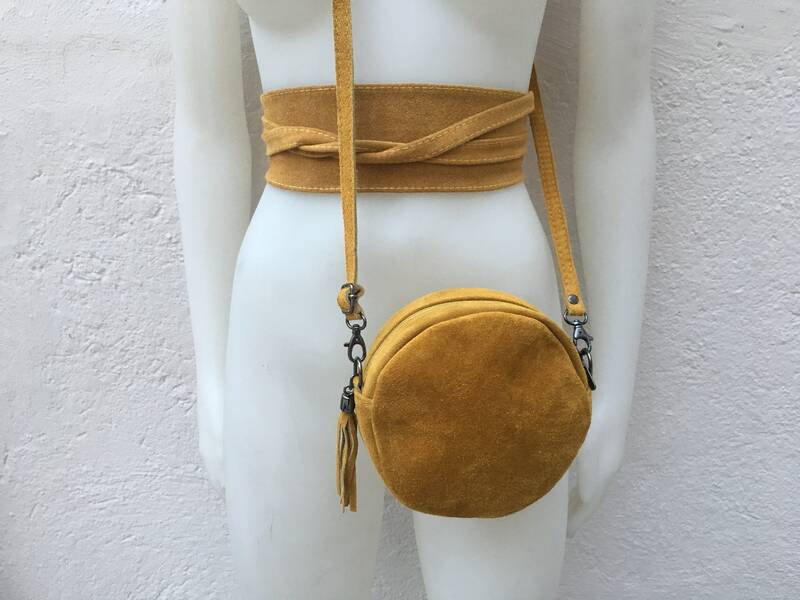 Small cross body bag in suede. BOHO, Festival cross over bag. Adjustable and removable suede strap. Can be worn as a shoulder bag or cross body. 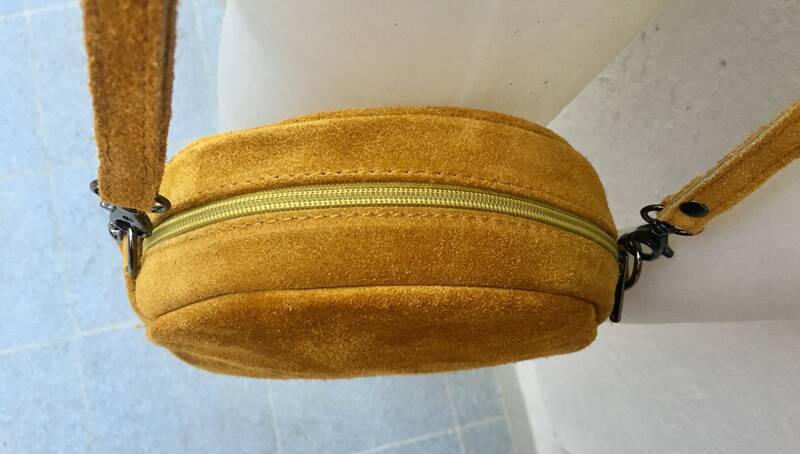 This listing is for the bag only, there are matching belts available for most bags. Please let us know if you have any question, thank you for visiting our shop!